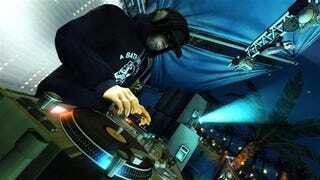 Last October, Activision's turntable game DJ Hero tanked. Fret not those who shelled out for game and its peripheral, Activision won't be ditching the series just yet. If you're going to make a commitment to doing something original, the odds are that you're not going to get it right on the first chance," Activision boss Bobby Kotick said Game Informer. "I think DJ Hero is a really innovative product. I can't wait for you to see next year's. That's the thing; we're sticking with it. We'll stick with it and get it right." Kotick's assurance that Activision will be sticking with DJ Hero validates French DJ David Guetta's remarks that he's working on DJ Hero 2.